The play accurately depicts the broad range of behaviors associated with autism. Itʼs not often that movies, books and plays represent science accurately, or with a true and empathetic understanding of its complexity. As a researcher on autism and a clinician who actively still sees patients, I was heartened to see Lucy, a play that not only captures some of the emotional hardship of a family coping with autism, but is also an accurate and subtle portrayal of the behaviors that define autism. In the play Lucy (played by Lucy DeVito), a severely autistic teenage girl who has been living with her father, returns to her biological mother, Vivian, whom she had not lived with since Lucy was a baby. Through the course of the play Vivian, who had abandoned Lucy when she was a baby, becomes more aware of her daughterʼs autism, and how similar she herself is to Lucy. Vivian is an anthropologist who studies the origins of human development. She is a loner, a socially awkward woman who sees herself in Lucy and Lucy in herself. She rejects help and friendship from others, and is less natural with her daughter than is a colleague meeting Lucy for the first time. As Vivian becomes less able to function in society, she begins to incorporate Lucy into her research on evolutionary theory. She then comes up with a plan for the two of them to return to Africa, where she had been working, to live in a “more pure” society. Vivian is an exceptional character who is not typical of most mothers of children of autism. In my experience, the parents of children with autism are almost always exceptionally loving toward their children. But as carefully and subtly portrayed by the actress Lisa Emery, Vivian is a faithful representation of what researchers call the “broader phenotype” of autism spectrum disorders. This is a phenomenon in which a family member ― a parent, sibling, aunt, uncle or grandparent ― has some of the same personality traits, social deficits or restricted interests associated with ASD. The day when mothers of children with ASD were wrongly made the scapegoats for their childrenʼs condition is not that far in the past. To its credit, the play was careful not to imply that Lucyʼs problems were a result of Vivianʼs behavior, even though Vivian had abandoned Lucy. 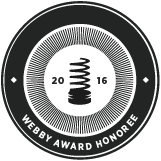 Again, this is not typical. I have seen thousands of children with autism, but I have never known a circumstance in which a mother abandoned a baby with autism. The play was instead making the point that Vivian and Lucy shared genetically-based difficulties with social relationships. As Vivian saw it, they were both examples of individuals who had evolved into hypersensitive beings overwhelmed by the demands of Western society. Like most children with autism, Lucy has limited language skills, but the play cleverly interjects comments from her character in which she explains her behavior or perceptions of her behavior to the audience. I found this approach distracting at times, particularly when Lucy described scientific theories in the voice of a precocious 8-year-old. But when Lucy played Lucy, her exposition of behaviors associated with autism, including the way she moved, her (lack of) eye contact, facial expressions, intonation, pitch, vocal timing and behaviors could not have been more true to form. These outward manifestations of autism are exactly the kinds of things we researchers are trying to measure, describe and quantify for genetic studies that may pin down what causes autism in the first place. Social aloofness, restricted focus of interests, differences in physical aspects of nonverbal communication, language, and responses to the sensory environment are all important measures of the “autism phenotype,” which we hope to link to specific genetic patterns. Most individuals with autism do not have every single characteristic listed in the diagnostic manual. There is a huge diversity in how these behaviors manifest in different people. The contrast between Lucy, whose behavior is typical of autism, and Vivian, whose behavior is far more subtle, is a striking representation of the dilemmas we researchers face in trying to study the autism spectrum disorders and the broader phenotype. Still, there is enough similarity that we can reliably diagnose autism using the same measures and standards across countries, languages, ages and associations with levels of functioning from very severe mental retardation to superior intelligence. In our study, the Simons Simplex Collection, for example, we are trying to present an accurate representation of the autism phenotype and look for links between genes and behavior. Our approach is to do this systematically, with hours of careful observation, interviewing and questionnaires. 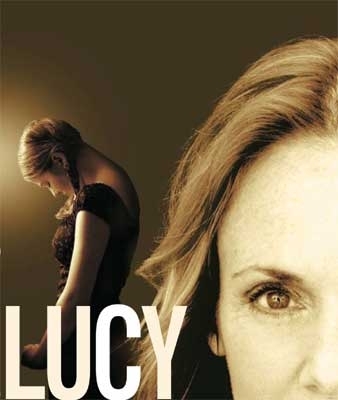 Lucy, written by the playwright Damien Atkins, had a limited run at the Ensemble Studio Theater in New York in November. But with extraordinary acting and directing and a laudable understanding of autism, the play was perhaps the most accurate portrait of autism seen since Dustin Hoffmanʼs role in Rain Man.